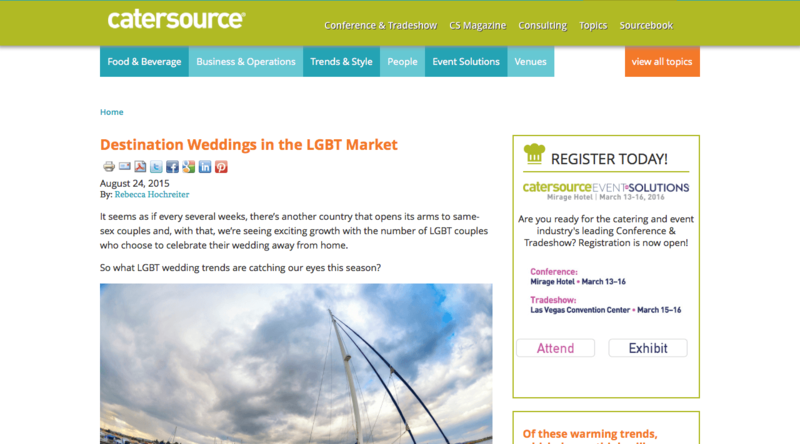 Our friends at Destination Weddings have a lovely feature on Catersource! With more LGBT couples tying the knot abroad, Destination Weddings is sharing what trends are popping up within the LGBT market. Give the article a read here!